CASology: Week 224: Weekly Winners! Clever masking allowed Rachel to illuminate her focal point, create the illusion of dimension without layers, and most importantly, preserve that all-important 'white space'. Well done, Rachel! An adorable take on the cue! 1. 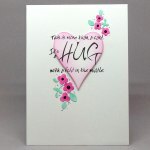 Jacquie's Choice: I love the way Anna highlighted her embossed sentiment with the diagonal lines! 2. Tracey's Choice: I like how Sunday Stamper created a CAS scene shaded perfecly with Inktense pencils. 3. Ardyth's Choice: Shelly's off-centre placement of her focal image adds interest to her CAS card! 4. 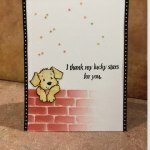 Joyce's Choice: Cimbacreativefun's adorable dog leaning over the brick wall is so very cute. 5. 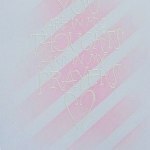 Sherrie's Choice: I love Paper Sweetness's holiday card w/ a bold focal scene & lots of white space. 6. 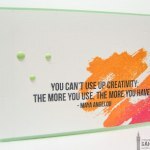 Jen's Choice: I love Sandie's idea of embracing our creativity & the bright colors to celebrate it! 7. 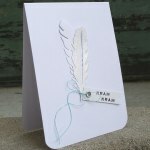 Melissa's Choice: Anna's monochromatic design has it all: dimension, texture, interest & white space! 8. Judy's Choice: I love the cute embrace Barb's mouse is giving his teddy! 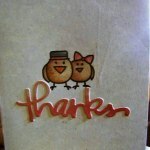 Fun sentiment, cute design! 9. 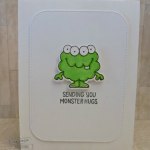 Kymona's Choice: Claire's monster looks like he's hugging two people. Super cute and CAS! 10. 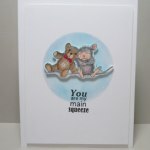 Hannelie's choice: A beautiful card with the perfect sentiment! Love this fabulous design, Janet! Be sure to stop back in an hour for challenge #225! 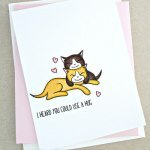 Aww...such sweet cards! Congrats to all! Congrats to Rachel and the HM's. .. And for picking my card Hannelie! Aww! Thanks for choosing my card! What a great way to start my day! Thank you Tracey! I love my Inktense pencils!! !